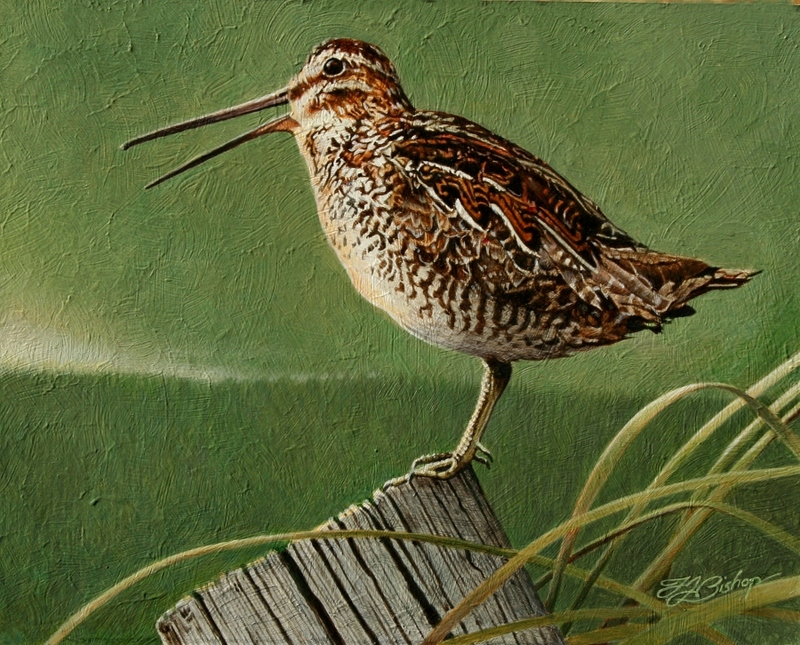 This small, stocky, shorebird that inhabits the wet meadows and marshlands of the northern portions of the United States, as well as across the entirety of Canada, is named for the early Scottish-American ornithologist Alexander Wilson. 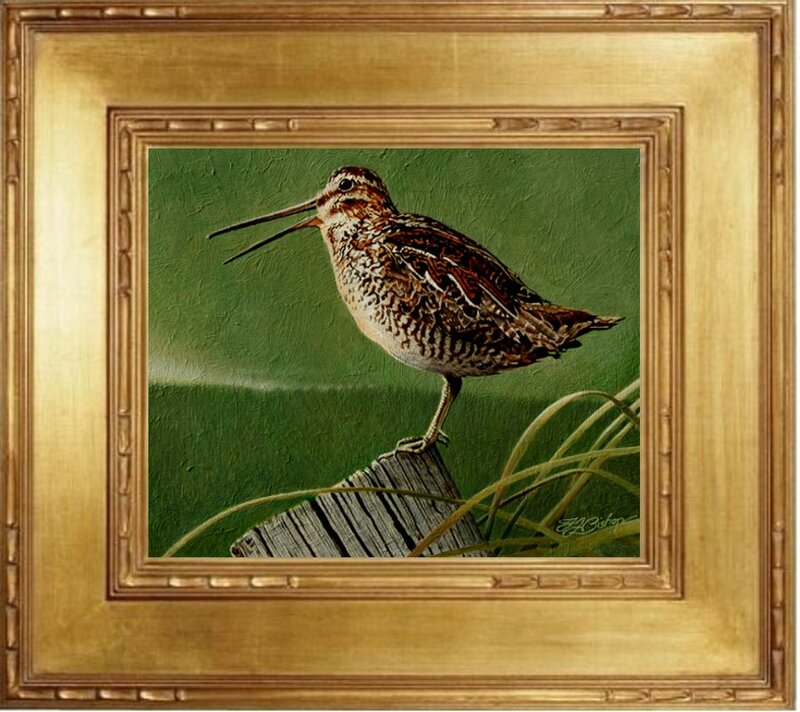 The male performs a “winnowing” display during courtship, establishing a perch, such as the one has that I’ve depicted in my painting, it will then fly in high, tight circles, taking shallow dives to produce a distinctive whistling, or winnowing sound. During these periods, they can be observed “winnowing” throughout the day and long into the night. The sound created is similar to the call of a Boreal Owl. These birds forage in soft mud, probing or picking up food by sight. They mainly eat insects and earthworms as well as plant material. A well-camouflaged, shy, little shorebird, it usually conceals itself close to ground vegetation and flushes only when approached very closely. When they do take flight it’s with a series of sharp aerial zig-zags to confuse predators. My original thought for this painting was a composition that was much more involved and considerably larger in scale. Then, as my work progressed, I changed my mind focusing on a much simpler direction…more of an early American presentation visa vi how Alexander Wilson himself might well have envisioned such a painting.